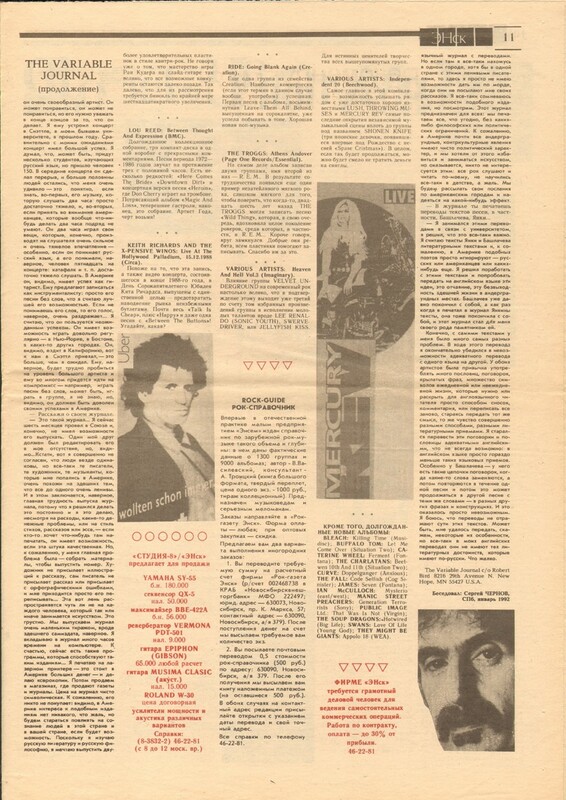 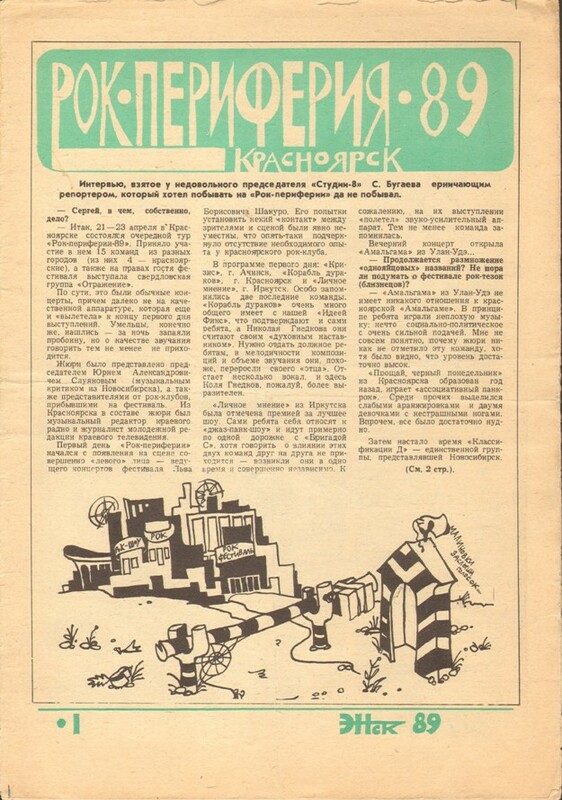 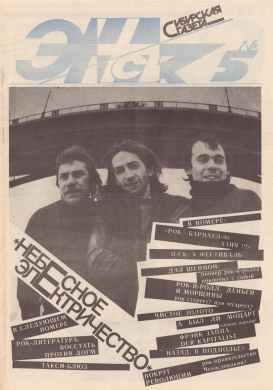 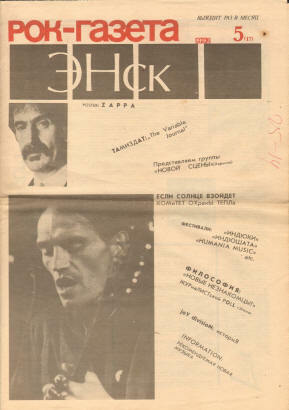 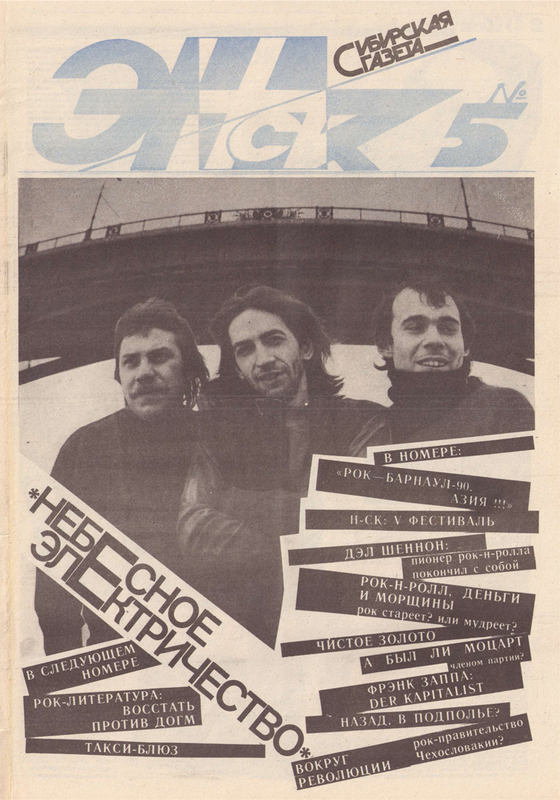 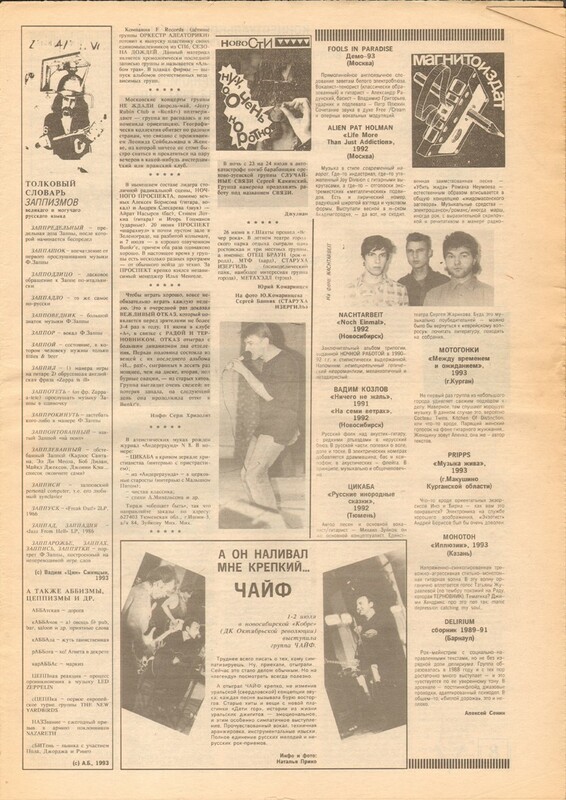 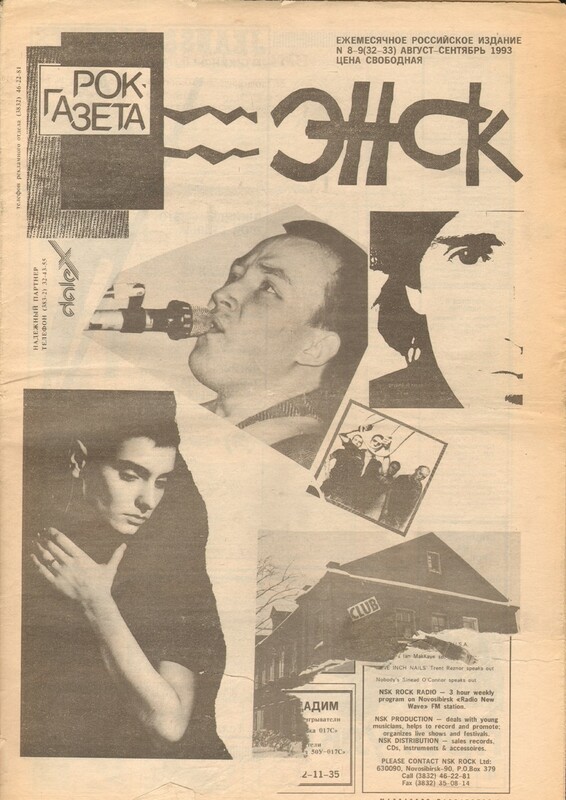 Rock monthly NSK was the first illustrated rock periodical in Russia and ex-USSR, issued regularly since (May) 1990 and based on Siberian fanzines ID and Stebel of the early 1960s. 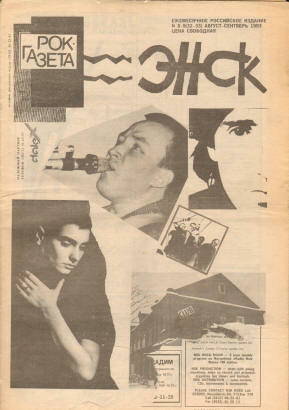 Covers various styles of modern art and music including rock, punk, alternative, jazz. 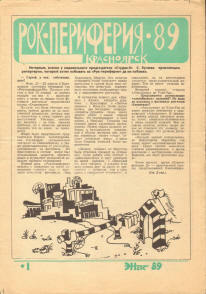 NSK was issued in Novosibirsk, Siberia, and ceased in August 1994, with last issue #44. 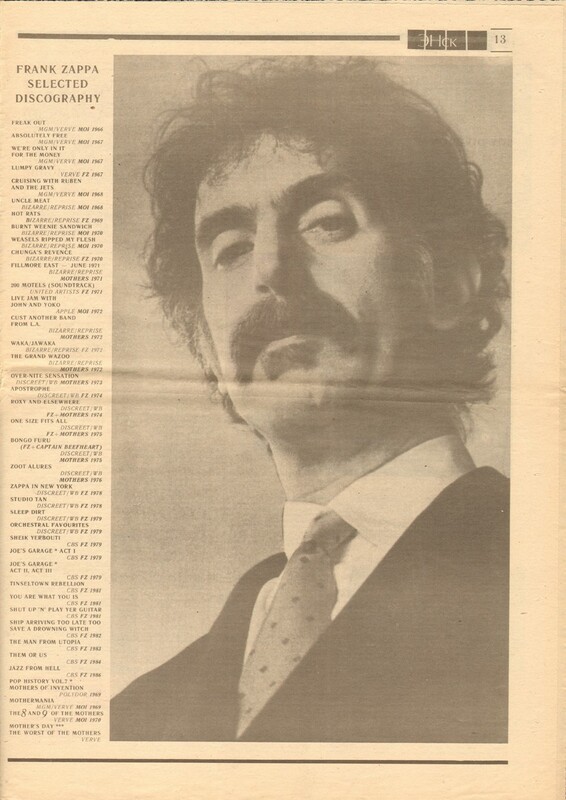 Print run in February 1991 was 12,000. 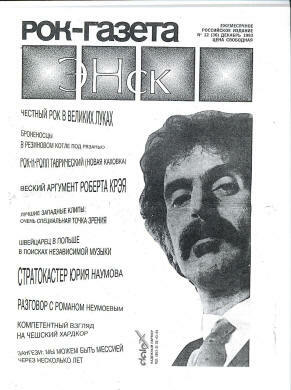 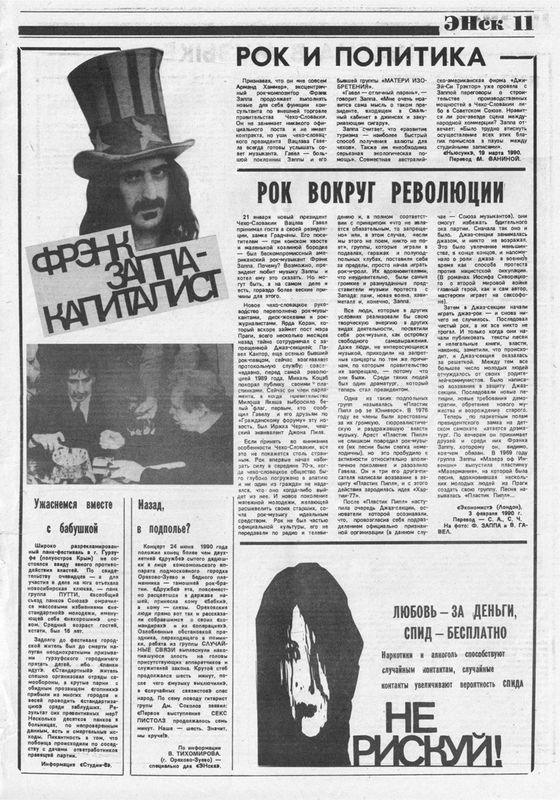 On the pictures is Frank Zappa in Stas Namin Centre, Moscow, meeting with Siberian rock band Kalinov Most. 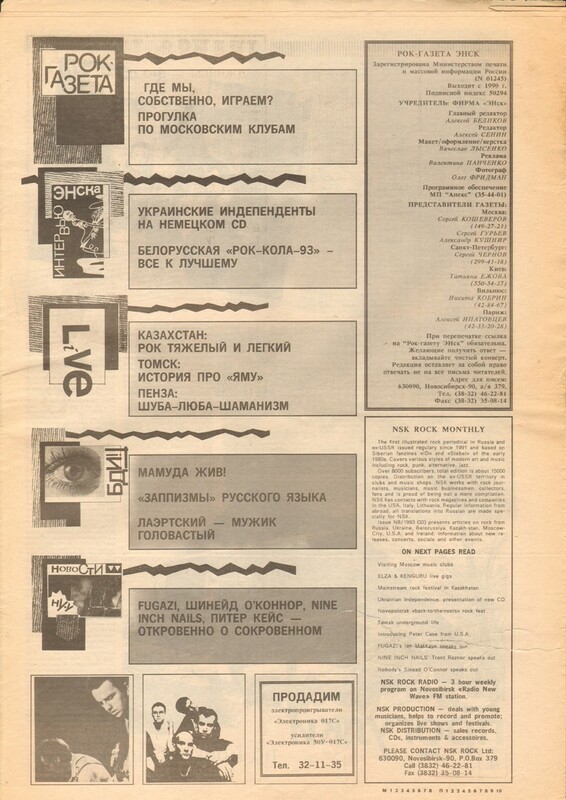 On page 7 is so called "dictionary of zappaisms" - funny untranslatable list of invented words beginning with "zap". 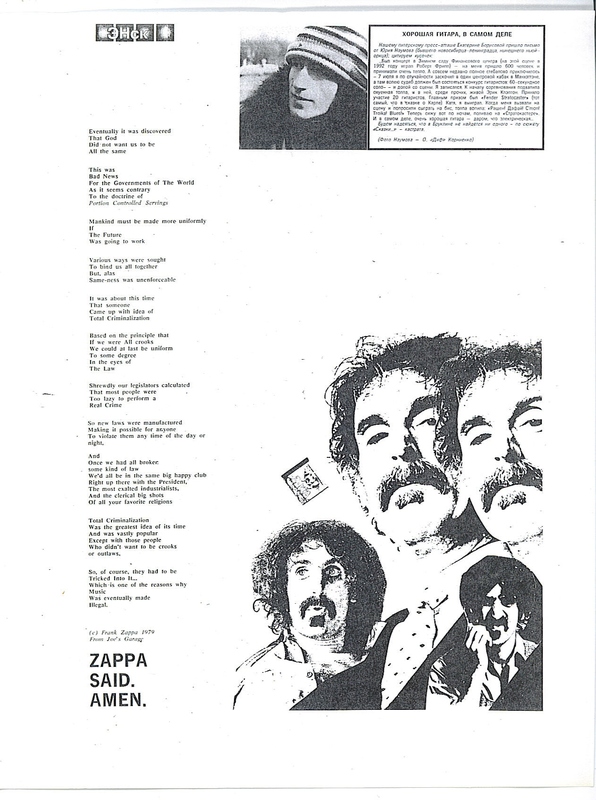 Lyrics of "Scrutinizer Postlude" as Frank Zappa obituary on page 2.